Almost ten years after its opening night at the New England Conservatory, The Beautiful Bridegroom is receiving its European premiere, in Glasgow, Scotland. The performance will take place on February 9, 2017, as part of Bridge Week, an Independent Student Festival at the Royal Conservatoire of Scotland. This production is the brainchild of director Elizabeth Wells, who also sings the role of Terentia. Very excited to announce an upcoming weekend of performances in Mexico City, August 26-28! We will be presented four excerpts from Freedom Ride in concert with la Orquesta Sinfónica de Minería, the New Orleans Black Chorale, and soloists Dara Rahming, Chauncey Packer, and Ivan Griffin, all under the direction of Carlos Miguel Prieto. It’s been a breathless summer of preparing the parts and score from Boston while conductor John Ware rehearses the singers down in New Orleans, but we are all looking forward to a terrific experience together. Thank you as always for supporting our work, and if you happen to be in Mexico City at the end of the month, please stop by la Sala Nezahualcóyotl and say hello! This month is turning out to be a very good one for me, with performances in Baton Rouge, Kalamazoo, Las Vegas, Boston, Washington, DC, and a special project for schools all over Minnesota. If you find yourself in any of these cities, please consider yourself invited! As always, best wishes, and thank you for your support! I’m very happy to announce the premiere this weekend of my new Song of the Open Road. Commissioned by Calliope’s Call, this is a setting for soprano, mezzo-soprano, baritone, and piano of sections of Walt Whitman’s epic poem. To read more about Calliope’s Call and its fantastic artists (Megan Roth, Dana Lynne Varga, Thom Dreeze, and pianist Shiela Kibbe), please visit their website, http://calliopescall.org. You can even read a short interview with me here. April 12 was the premiere of “Three Moon Poems for the Children,” commissioned by the Rivers School Conservatory for their annual Seminar on Contemporary Music for the Young. My good friend Eve Budnick was on piano, with flutist Jamila Kern and soprano Marissa Birne. 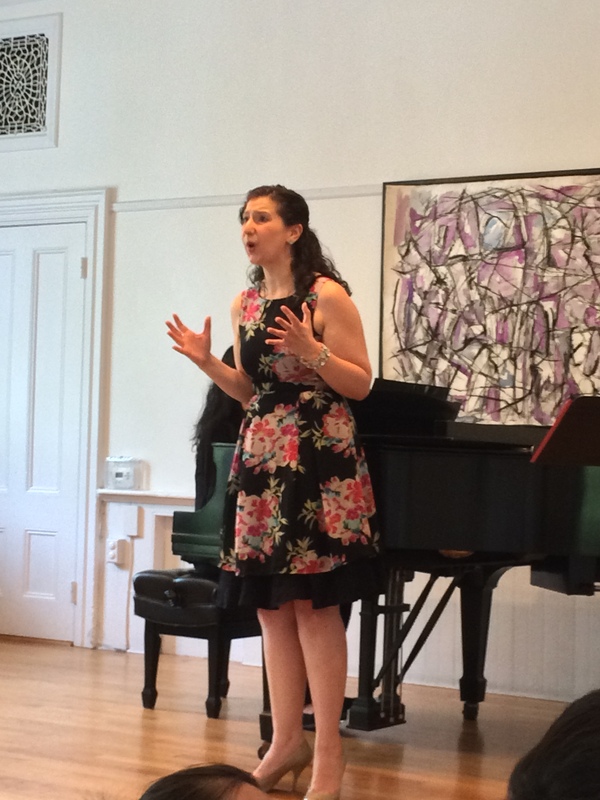 Lauren Cook sang these songs again at the New School of Music on June 7, with Emilia Salazar on flute and Kai-Ching Chang on piano. Kathryn Guthrie will sing them again on November 15 in Philadelphia. Also based on Lindsay’s moon poems is my new trio “Gold and Silver Moons,” a set of four character pieces for flute, oboe, and piano. 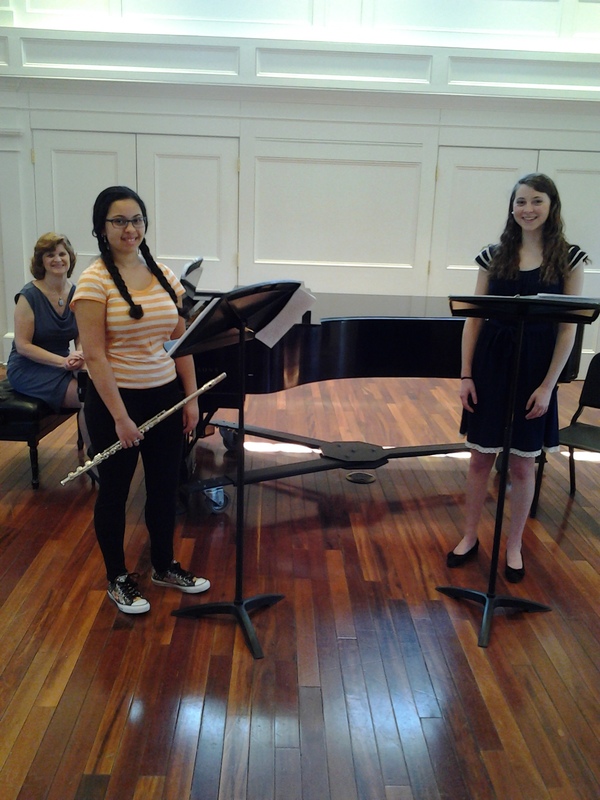 Commissioned by Rachel Taratoot Ciraldo, the trio premieres on August 16 at the National Flute Association convention in Washington, DC as a special program she designed for Youth Flute Day. Rachel will play the flute, Dianne Frazer will play the piano, and I am particularly delighted that my wife Meredeth Rouse will be playing the oboe. Best wishes as always, and thank you all for your continued support! I am so pleased to be returning to work with my friends at the Hartford Opera Theater on this new production of An Embarrassing Position. Also on the program is Menotti’s great comic opera The Old Maid and the Thief. And if you show up thirty minutes before the performance, you can even catch me giving a pre-show talk! Thank you as always for your support, and please feel free to share this with your oboist friends!